One of the most widely used yet least appreciated pieces of architecture across the globe is the bridge. Hundreds of millions of people use these structures every day to get where they need to go, yet most people never give a second thought as to their history. Before brides, there were a large number of places in this country, and across the world for that matter, that were inaccessible to humans. During the early days of the great American expansion and the Industrial Revolution, architects and builders discovered new ways to facilitate the construction process, which had a dramatic effect on the growth of the nation. It should be noted that many of the bridges we see today have been around for a very long time, a number of which were constructed in the early 20th century. Despite the countless traffic that has passed over them, they still stand sound and safe. While maintenance and repairs are an obvious must with these structures, it cannot be stressed enough that the materials (from using concrete construction tools for creating reinforced concrete (with rebar) to steel ropes), labor and ingenuity that went into building these bridges is definitely worthy of more attention than a mere passing by. 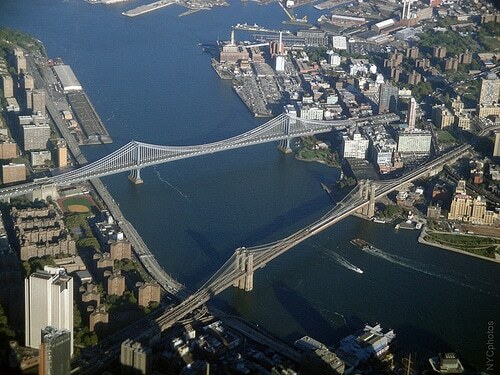 Here is a list of some of the best American bridges, and information about how they came to be. 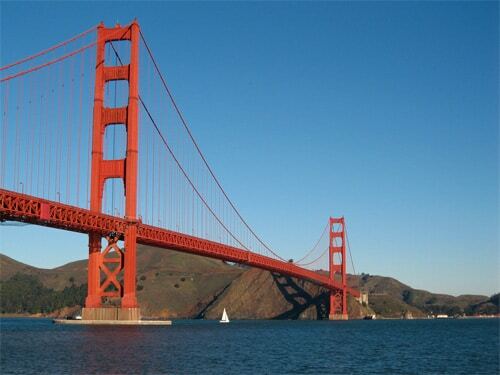 Located in historic San Francisco, this famous bridge has long been a popular destination for tourists. This is in part due to its sheer size and its elegant design. The Golden Gate Bridge stretches across San Francisco Bay to connect US Route 101 and California State Route 1. The construction of the bridge was completed in 1937, and at the time it held the title of being the largest/longest bridge in the country. Interestingly enough, the original design looked much different than the completed project, as Joseph Strauss’ blueprint lacked the aesthetic appeal the city was looking for. 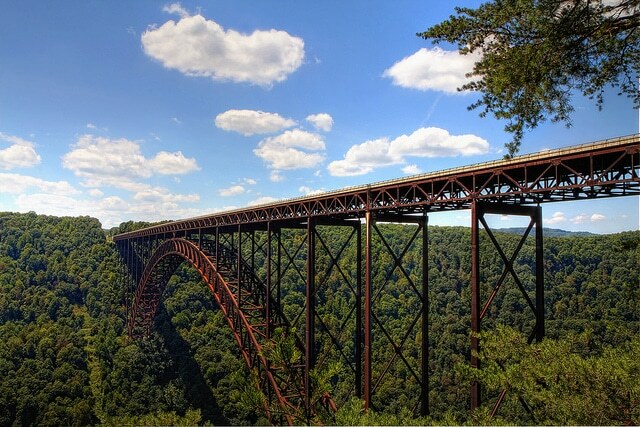 This 3,030 ft. steel structure was completed in 1977, and was deemed the longest spanning single arch bridge of its time. In order to demonstrate the pride the people of Fayetteville have in this piece of architecture, the city holds an annual celebration called Bridge Day, in which all traffic is refrained from crossing it and where various festivities, including BASE-jumping (not for the faint of heart) and rappelling, are allowed. 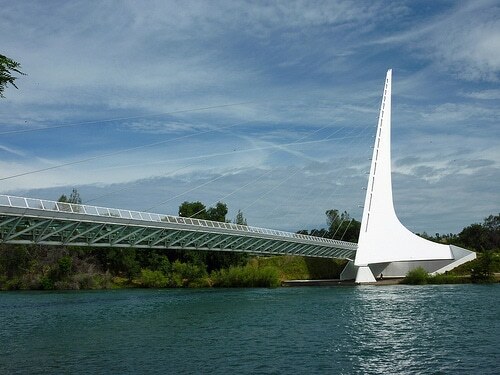 This bridge is open only to pedestrians and stretches 700 feet across the Sacramento River in Redding, California. It is also one of the more recent bridge construction projects, as it was only built in 2004. With over 4,300 feet of cable, 115 tons of steel, and 1,900 cubic yards of concrete (talk about needing a lot of concrete construction tools!) you can’t go wrong with this masterpiece of a bridge when it comes to durability! 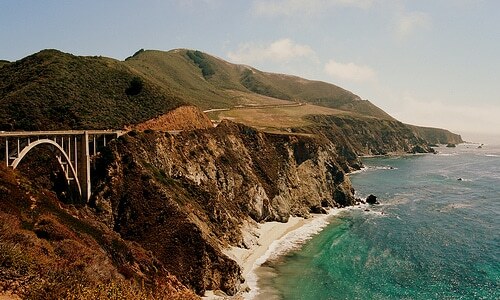 There is apparently something intriguing about California, since this bridge also has its home in Big Sur, located in the Golden State. This bridge arguably offers drivers one of the best views as well; a traveler crossing this beauty can easily get distracted by the impressive Pacific Ocean and not think about all the concrete construction work that went into construction of this bridge back in 1932 in order to make that view possible today. Located in no other than the famous cultural landmark and borough of NYC, Brooklyn, New York, this bridge is a true piece of American history, though the 130 year old structure is in need of some structural repair. The state of New York has been working on fixing up the bridge, including repairing the approaches, which have been damaged due to rusting, though it should be noted that a potential collapse of the 5,989 feet long bridge is not expected. Today’s guest post is by Mel Kientz of BNProducts, a part time magician, part time blogger and respected influencer in the construction, infrastructure and concrete industry.